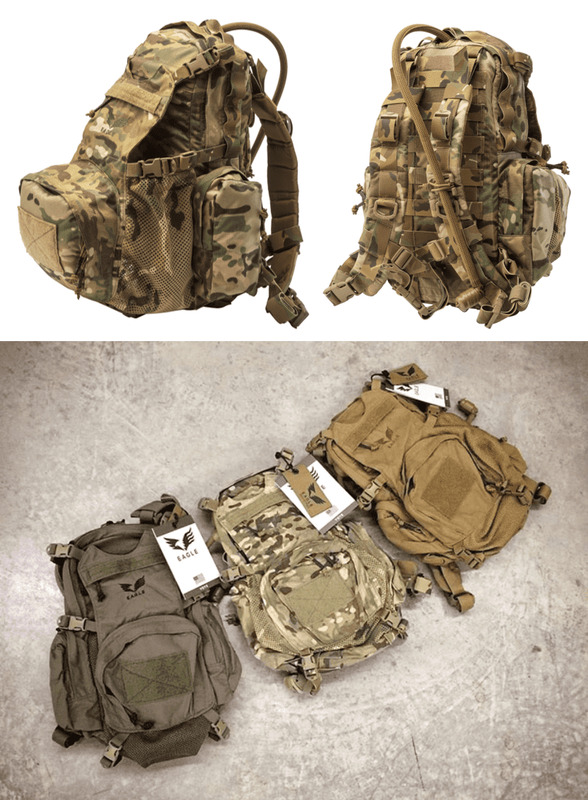 Authentic Eagle Industries Yote Pack. Made in the USA. The version in stock has the Eagle Industries logo on the beavertail portion of the pack as shown in the small inset picture. 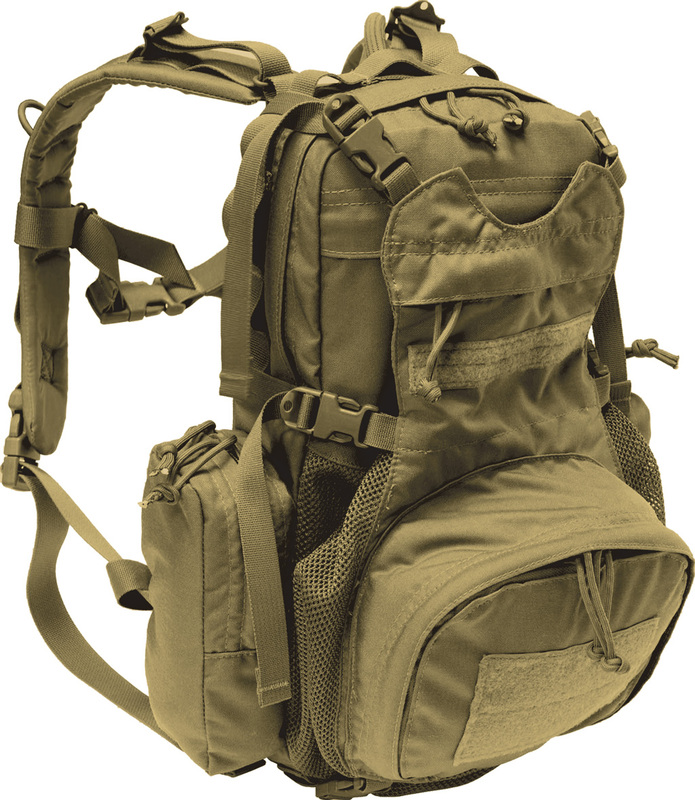 • Beaver tail compartment allowing the fit of a helmet with nods, clothing, etc. This item cannot be returned unless hydration bladder is in brand new, unused, unopened condition.